Human beings can survive without food but without air? Not possible. It takes only six minutes to die without air. Having air and more significantly breathing fresh and pollutant free air is the most needed element for survival. We spend most of our time indoor whether it is a home, workplace or shopping center. Compared to the outdoor places, the atmosphere of indoor contains more airborne pollutants, mold, hair, dander, smoke, germs, bacteria, viruses and other detrimental components. These pollutants can cause detrimental health issues such as asthma, allergies, breathing problem, lungs cancer and so on. It is a must to remove all the impurities from the air, therefore you need the best HEPA air purifier. An air purifier comes with air purifying technology that removes dirt, dust, allergens, smoke, gases, and other airborne impurities from the room atmosphere. Can the air purifier remove all the airborne pollutants? What type of air purifier do I need? What may happen if you do not consider the features in a HEPA air purifier? 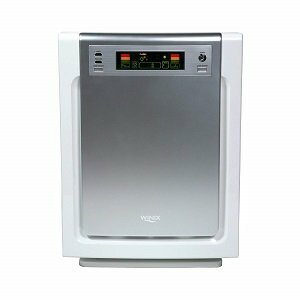 There are diverse types of air purifiers available with unique features and facilities. However, an ideal and effective air purifier must contain HEPA filter which can pull out all types of airborne pollutants including pet, smoke, and chemical. 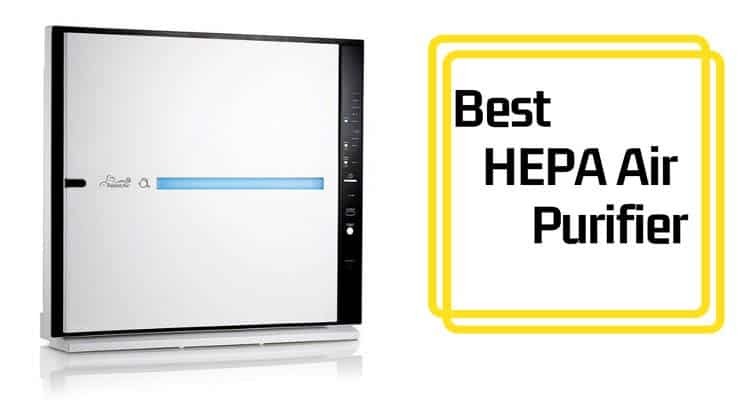 Below, we have listed the top 10 best HEPA air purifier that ensures a pollutant free healthy atmosphere for home, work or any other indoor place. Here the products are briefly described with positive and negative aspects so that you can choose the best HEPA air purifier according to your requirement, need, and budget. Rabbit Air MinusA2 is one of the top rated air purifiers. The device comes with diverse features and strong air cleaning technology. The system includes six stages of purification system in order to ensure the cleanest and fresh air. In this device, the air passes through the pre-filter which pulls out the large airborne particles. Then the medium filter captures the allergens and dust particles. 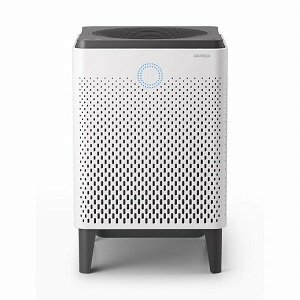 In order to ensure the most purifier air, the HEPA filter traps any type of airborne particles including allergen, dust, pollen, mold and other chemicals. Besides getting a healthy and fresh air, the user also demands an odor-free air. Therefore, the Carbon filter is installed in the device. This filter has the potential to remove the unpleasant odor. The Rabbit Air MinusA2 comes with artistic and stylish design and color. The device comes with pre-filter, HEPA filter, and carbon filter. The user can customize the filter according to their need. The device also includes an ion generator which can remove the pollutants without producing ozone in the air. The device is effective to fight germs, allergens, toxic elements, pollen and smell. The user can place it on the floor or hang it with the wall mount. The Rabbit Air MinusA2 is an expensive device which is beyond affordability for many users. Many users want an air purifier which they can customize according to their need. For them, the best type of air purifier is Alen BreatheSmart FIT50. The device comes with four different types of HEPA filter. The filters are named Pure, Silver, FreshPlus and OdorCell. The silver filter is best suited for the users with asthma symptoms. The FreshPlus has the potential to remove smoke and airborne chemicals.The OdorCell removes pen and baby induced unpleasant odors. The Alen BreatheSmart comes with stylish design and 14 different colors. One of the significant features of this air purifier is, it can cover large areas. The light indicator in this device can measure the airborne pollutants and operate the purifying system automatically to remove them. One of the interesting features of this device is the soothing red, pink and white noise. These noises are created to overlap any disturbing noise. If you are looking for a durable, strong and efficient air purifier for your home or workplace and any types of airborne pollutants, Alen BreathSmart air purifier is the best choice for you. The devices are available with cool design and cool colors such as white, blue, bronze, black, rosewood and many more. The device comes with a light indicator. The device can cover large areas like office, room or basement. The user can understand when to change the filter and ensure the durability of the air purifier. The purifier can be used with customized setting. The purifier creates soothing sound to cover any disruptive noise. The device is expert in terms of removing allergen, chemical pollutants, and unpleasant odor. The device is a bit pricey. The device becomes a bit louder at high speed. Winix WAC9500 is one of the best HEPA Air purifiers for Allergies. The device comes with an extraordinary feature of five stage air cleaning system, antibacterial treatment, and plasma wave technology. The air purifier contains the best air filter HEPA filter. This filter is best in removing any tiny airborne pollutants. On the other hand, the carbon filter installed in the device removes any sort of unpleasant odor. This pre-filter is widely used by the pet owners. The machine can remove microscopic pet hair, dander, and odor. These pollutants can cause breathing problem, allergies, and asthma. The pre-filter, carbon filter, and HEPA filter are washable which ensures the durability of the device. The PlasmaWave technology is used in the device to fight the virus, germs, bacteria, gas, odor, and allergen in the air. Are you looking for the best type of air filter for the pet? You must go for Winix WAC9500. This air purifier can not only remove pollutants from the air but also germs, bacteria, mold, pollen, hair, dander but also any type of household, chemical and pet odor. The air purifier contains HEPA Filtration system which can pull 99.99% airborne pollutants, pet hair, pet dander, allergen, and smell. The device comes with plasma wave technology. The carbon filter and the pre-filter are washable and reusable. The air purifier contains two smart sensors to identify and clean odor and dust. The user can turn on the light sensor which turns the device into night mode during sleeping time. The air purifier can cover the only small area. The device is a bit expensive compared to the price. 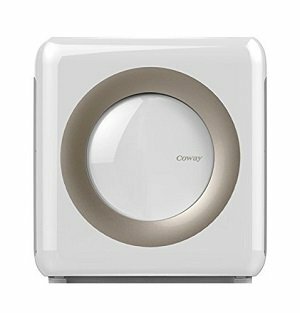 The Coway AP-1512HH has been continuously on top of the list of best air purifier. It is a suitable air purifier for a medium size area. If you are looking for the best air purifier for allergies, dust, mold, bacteria and household smell, you must give it a try. The device includes four stages of the purification system. The device comes with pre-filter, HEPA filter, Carbon filter and an ionizer. The pre-filter removes large pollutants such. The HEPA filter pulls out the tiny pollutants from the air. To ensure the air is more breathable and clean, the ionizer removes toxic elements and odor. Besides keeping the air clean and fresh, it is also significant to get the air odor free. Therefore, the carbon filter works to remove all types of unpleasant odor. The eco mode on the device ensures the indoor atmosphere is germ and pollutant free. It is also convenient for saving energy. 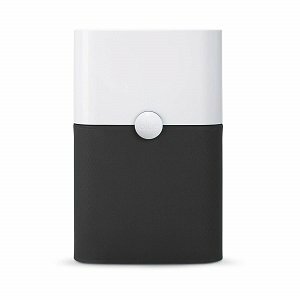 The device is available in black and white colors. The air purifier is suitable for medium size area. The device purifies the air with four stages of the filtration system. The eco mode in the device turns off automatically when the air is clean. The air purifier is energy efficient. The user cannot turn off the air quality sensor light. The light seems too bright during the night for some user. Therefore, you can cover it with a tape, cloth or board. 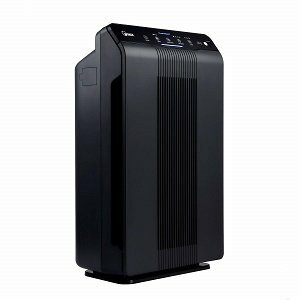 Besides this factor, the Coway AP-1512HH Mighty Air Purifier is worth to invest money. Are you looking for the best HEPA air purifier for a large room? Then Blue Pure 211+ air purifier would be the best possible option. It can provide efficient service for large rooms or workplace. The device contains a HEPA filter and a Carbon filter. The HEPA filter ensures the room is any types of dust, dirt, allergen, germs, and viruses free. However, the device does not have any carbon filter to remove the unpleasant smell. The air purifier comes with a user-friendly operating system. The users can easily use the device in terms of controlling the fan speed, light-weight to move, and less function. The air purifier is tested and proved to ensure 99.95% purified air. The purifying technology cleans airborne pollutants in a short period of time. The device is best suited for large rooms. The air purifier does not create much noise. The interesting fact of the air purifier is changing color according to the style. The costing price of the device is expensive. The air purifier does not come with a carbon filter. Therefore, the air is purified by the device, but the odor exists in the room. The device does not have an automated timer. As a result, the user cannot set the automated purifying when the room is empty. Are you looking for an air purifier with Smart features? The AIRMEGA 300 is an amazing product with has unique smart features compared to other air purifiers. The purifier comes with HEPA filter and activated Carbon filter. The HEPA filter is proved to remove 99.97% of airborne pollutants. The carbon filter actively removes unwanted smell including smoke from the air. The user can control the device from their smartphone. You can also understand the present time status of the atmosphere by the real-time air quality monitoring system. The system tells you the intensity of the pollutant in the air at that very moment. The device comes with a lifespan indicator filter. This filter indicates when to replace the filter. The air purifier can cover large room areas. It is a great device for home or workplace. Since the product comes with many advanced and unique features, the price of the air purifier is extremely high. 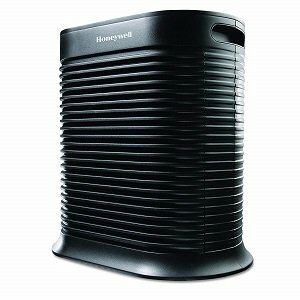 Honeywell produces the best HEPA purifier for allergies. Similar to most of the effective air purifiers, this device contains HEPA filter and Carbon filter. The air purifier is efficient enough to remove dirt, dust, smoke, mold, pollen, and odor. The air purifier contains four stages of cleaning technology. It can successfully remove germs, allergies, bacteria, virus and any tiny airborne pollutants. The user can set the machine on timer mode to run automatically in 2, 4 and 8 hours intervals. Additionally, the turbofan circulates the air five times per hour. 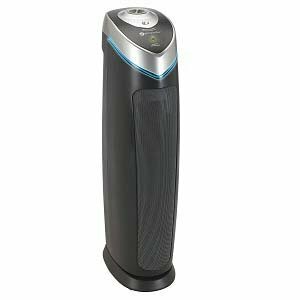 If you are looking for an air purifier to remove pollutants like pet hair, dander, odor and similar elements that cause allergies, asthma, and breathing problem, you can invest your money on Honeywell True HEPA allergen remover purifier. Due to the allergen remover technology, the device has been found to be effective to recover allergies and asthma among users. The price of the replacing filters seems expensive. You would not usually find an air purifier with plasma wave technology. The Winix 5500-2 contains this technology to ensure a pollutant free breathable air at home. In this air purifier, the air is passing through 3 stages of purification. The carbon filter removes household, pet, and smoke-induced smell. The HEPA filter and the plasma wave technology remove the pollutants. An effective air purifier must come with a HEPA filter. Therefore, in the Winix 5500-2, the HEPA filter and the plasma wave technology work simultaneously to remove dust, allergies, toxic pollutants, germs, virus, bacteria, mold, pollen and any tiny particles in the air. 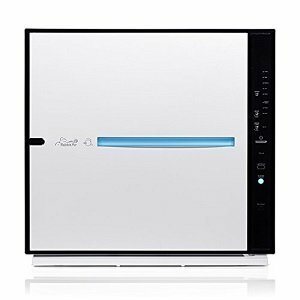 It is one of the best air purifiers for allergy patients. The Plasma wave technology is similar to an ionizer; however, it does not produce harmful effects and ozone in the air. The smart sensor in the device examines the air and operates the cleaning power automatically. One of the interesting features of this air purifier is, it plays music when you turn on. The carbon filter can remove any unpleasant odor from the air. The device ensures an ozone-free purified air. The device includes smart sensors. The filter replacement indicator tells you when to change the filter. The filter needs frequent replacement which increases the product cost for a long period. The music of this air purifier might be irritating at night for some users. The GermGuardian AC5000E device is a three in one air purifier. The three in one technology includes HEPA filter, Carbon Filter, and an UV-C light. This technology is efficient in terms of removing all sorts of airborne pollutants, and ensuring a healthy environment. The HEPA filter is efficient in removing 99.97%-micron allergen, dust, dirt, mold, pollen, pet hair, dander, and chemicals. The Carbon filter removes the odor from pet, smoke or household. It is one of the great air purifiers for the people who suffer from allergies and breathing problem. Additionally, the UV-C light can kill the germs, viruses, and bacteria which are detrimental for health. This is the best-suited air purifier for small to medium size room. The filters ensure 99.95% of any airborne pollutants, toxic elements, germs, and bacteria are efficiently removed by the three in one technology. The device is lightweight therefore it is easy to move from one place to another. The device comes with an automated mode, timer, and a monitor. The air purifier produces plastic like smell when used for the first time. The filters are not washable and require frequent replacement. Are you looking for a convenient air purifier? 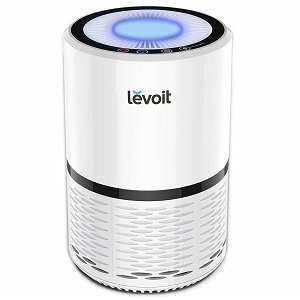 You must give a try to Levoit compact LEVOIT LV-H132 Air Purifier. It is a best-suited air purifier for a small room, workplace or transport. The three levels of purification system contain HEPA filter and an activated carbon filter. The device also comes with two levels of brightness setting that can be adjusted with daytime and night time. The device can effectively remove all types of airborne pollutants such as pet hair, dander, toxic chemicals, allergen, mold, pollen and other particles. The sleek design and smart look of the device will accentuate the beauty of your interior. The device is very handy and easy to move from one place to another. This air purifier also contains advanced features such as a programmable timer, air quality sensor, an automated mode. The true HEPA filter of the device is effective to remove 99.97% of airborne pollutants. The carbon filter of the air purifier can remove the unpleasant odor from pet, smoke, and cooking. The operating system of the device is easy. It can cover small to medium size room. The air purifier comes with affordable price thus it is budget friendly for most of the users. The replacement cost of the filters in Levoit LV-H132 is expensive. You might think that if you take some precautions, you can ensure a pollutant-free air indoor. You may try cleaning the room, stop smoking indoor and minimize activities that cause pollutants and so on. You can also install devices like exhaust fans, vacuum cleaner, and air cooler and so on. Just think for a while, do these steps ensure a complete pollutant-free air at your place? Besides, continuous cleaning may keep your room clean and tidy. However, while cleaning, you also intake the germs and bacteria from the air. Eventually, these germs and viruses become the potential reason for your runny nose, allergies, asthma, breathing problem, lungs cancer and many more. Instead of investing money in different technologies and damaging your health, it is always wise to buy one device that promises to keep your air fresh and clean. An air purifier comes with significant technology such as HEPA filter and combined filtration process that pulls out all the pollutants and tiny particles from the air such as allergies, mold, pollen, chemicals and many more. The term HEPA stands for High-efficiency Particulate Arrestance. Most of the air purifiers promise to keep the air pollutant free because they contain the HEPA filter. Only a HEPA filter can capture 99.97% of airborne impurities from the air including mold, pollen, germs, bacteria, hair, dander, toxic chemicals and tiny particles. Some pollutants in the air are not visible in bare eyes. The purifying device contains HEPA filter that can capture all types of germs, bacteria, and viruses from the air. Some device also contains a pre-filter and carbon filter that captures large particles and unpleasant odor from the room. When you go to the market or browse online looking for air purifiers, almost every one of them contains HEPA filter. Some come with additional features. A HEPA filter has the potential to keep your indoor atmosphere pollutant free. However, there are other factors to consider when you are buying a HEPA purifier. Before you decide to invest money in the air purifying device, consider these factors and feature to get a durable and efficient air purifier. There are different types of air purifier with a significant purpose. Before you decide to buy an air purifier, identify the need and reasons. Some air purifiers are designed for pet, smoke and some cleanse the air thoroughly. Therefore, it is important to identify what type of pollutants you would like to remove from the air then choose accordingly. Size of the air purifier is important. The devices are suitable for small, medium and large rooms. Think about in which room you would like to install the air purifier. Each air purifiers mentions the specification and room coverage. Based on the size of the room, decide which device you would need. Does the air purifier have a handle? Does the device include wheel to move easily? Is it possible to mount on the wall? Does the device come with smart features such as indicator, sensor, digital function, sleep mode, timer and so on? Can user operate the device with remote control, fan speed controller and air quality indicator? While buying an air purifier, the budget is one of the significant factors. Users tend to buy the device with affordable price. However, the replacement cost and less durability make a user invest in the device for a long time. If the filters have the option to wash and reuse, it increases the durability and reduces the maintenance cost. When you go to the market to buy the air purifier, you might get overwhelmed with the tag HEPA on the device. Some devices contain HEPA filter but creates the additional problems and leaves ozone in the air. Therefore, if you do not consider the above-mentioned features, you may end up buying a device that does not have a true HEPA filter. Additionally, if you do not consider the purpose of buying an air purifier, you would invest money on the wrong device. For example, you are looking for an air purifier for pet. Since you did not check if the device is best for pet or not, mistakenly, you have bought an air purifier for allergies only. Room size is very important. If you do not buy an air purifier according to the room size, you may buy a smaller one or a bigger one compared to your room. As a result, you will not get the best outcome. Consider the additional features as well. Otherwise, if you do not check on the feature you need, you may end up buying a device which you cannot place in a proper place. For instance, you want an air purifier to remove pollutants and odor. If the HEPA air purifier does not have a carbon filter, you would get a purifier air but the unpleasant odor would remain in the atmosphere. Maintenance cost is also important. If you are buying a budget-friendly air purifier but the filters require frequent replacement, then you would need to spend additional cost for the air purifier. Therefore, consider the above-mentioned features to get a strong, efficient HEPA air purifier, otherwise, you would invest money on a device and get an ineffective result. Based on the above discussion, features, and significance, you now have an understanding regarding which HEPA air purifier would be suitable for you. In order to ensure a chemical and airborne pollutant free breathable indoor air, you need an air purifier. This device can not only purify your atmosphere but also decrease the risk of health issues like asthma, allergies and respiratory diseases. All the top rated air purifiers contain HEPA filter. The top rated air purifier contains amazing features. Based on your requirement, choose the most effective and contextual device that serves the purpose of your need. Best Air Purifier for Dust - Top Selections From A Room Expert!